If you’re looking for a small vehicle that’s built to head out on the trails to offer you some fun and enjoyable driving, the Fiat 500X is one that shows up with the pricing and qualities you want. This small SUV offers you the ride height to clear obstacles on the trials, the cargo versatility you need to carry the gear with you, and a long list of excellent safety features to make it the right model for your daily driving needs in the Tamarac, FL area. If you love the idea of driving a Fiat with its purely chic Italian design but want something that’s larger than the standard 500 model, the 500X is the right choice for you. This is the only Fiat offered with AWD and the items that can handle the changes in weather if you happen to drive to a colder area of the country. Check out the pricing for this SUV at Massey Yardley Chrysler Dodge Jeep Ram Fiat in Plantation, FL and you’ll be ready to head out on the trails around Tamarac, FL so that you can have the drive you’re looking for. Even though the Fiat 500X is a model that’s been on the market only a short amount of time, this SUV is offered with the pricing you’re looking for so that you can have the drive you want in Tamarac, FL. This model has been simplified in order to cut to only three trims to make the shopping easier for you. These three trims are Pop, Trekking, and Lounge. You’re sure to enjoy the package options that make it easier for you to have more personalization in the lineup and the pricing you want when you want to drive in Tamarac, FL. The Fiat 500X offers you a dynamic mode selector which makes it possible for you to have the benefit of a few different ways to have the drive you want on whatever terrain you’re looking for. There are also advanced safety features that make it easier for you to have the drive you want when you head out and want to stay safe. Check out the pricing to have the right package for you in this small and impressive SUV that you’ll want for the drive on the roads around Tamarac, FL. Find the right trails for the fun you’re looking for in the Fiat 500X that you found for the pricing that makes sense for you around Tamarac, FL. This little SUV has the personality and the fun you’re looking for so that you can have the drive and the adventure you’re looking for. 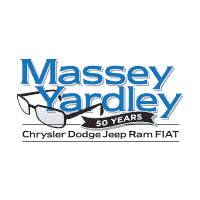 Come in and see the team at Massey Yardley Chrysler Dodge Jeep Ram Fiat in Plantation, FL in order to find the right model for you to have the driving experience you’re looking for as you’re ready to have the quality ride that makes a difference for you.